Looking for more date night ideas? Check out our romantic getaways in the Midwest. There are so many fun date ideas in Columbus, you’ll wish you had more than a weekend getaway to explore them all. Here are a few ideas to help you start planning your romantic getaway in Columbus. Short North Arts District – check out the Gallery Hop held on the first Saturday of the month, over explore over 300 businesses in this premier example of urban revitalization. 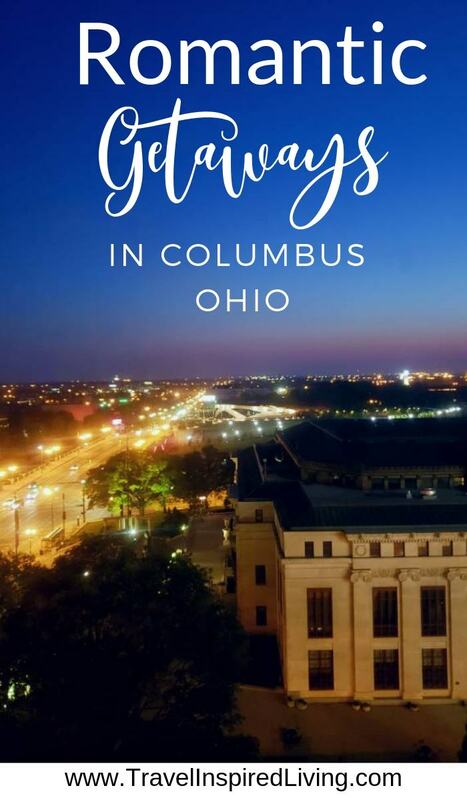 Browse art galleries, performing arts, street art, boutique shopping and some of the best food in Columbus. Franklin Park Conservatory and Botanical Gardens (1777 E Broad St) – just a few miles east of downtown, visitors can enjoy indoor and outdoor gardens at this historic conservatory that dates back to 1895 and is now on the National Register of Historic Places. Columbus Museum of Art (480 E Broad St) – Ohio’s first art museum is a must for art lovers visiting Columbus. While the focus is American art from colonial times to contemporary, traveling exhibits feature international art, such as Dutch masterpieces on display through June 2019. Columbus Commons (160 S High St) – the heart of Columbus always has something going on, with over 200 free events each year. A great date night that’s easy on the wallet is a live concert and a bite at the food truck food court. North Market (59 Spruce St) – a foodie date night that won’t break the bank is a trip to North Market. Serving central Ohio since 1876, North Market is home to nearly three dozen small businesses. Grab some food to go for a picnic, or pick up fresh ingredients to make your own romantic dinner. COSI (333 W Broad St) – Science fans will love COSI After Dark, the adults-only evening series which features a different theme each month. Enjoy cocktails, light bites and special exhibits. Scioto Audubon Metro Park (400 W Whittier) – for an outdoors date, look no further than this riverside park which has hiking trails and amazing views of Columbus. 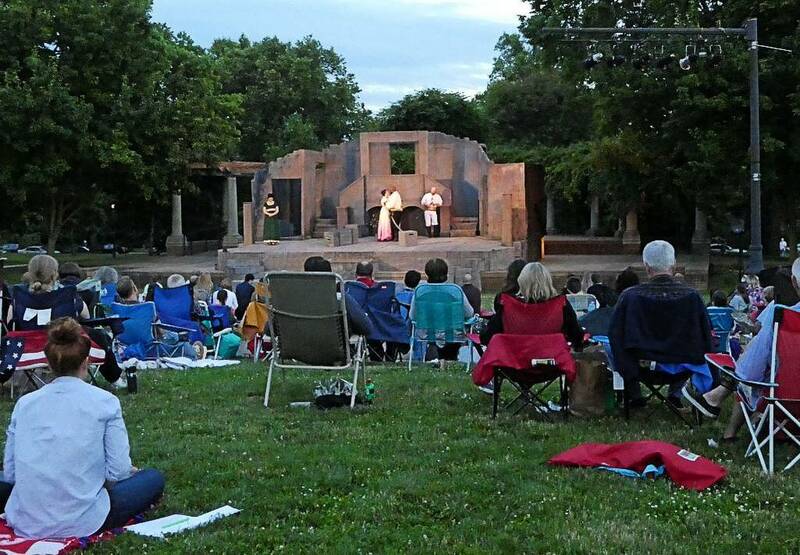 Shakespeare in the Park (Schiller Park in the German Village) – The Actors’ Guild Theatre presents Shakespeare and other well-known plays in the park Thursday-Sundays. Performances are free (donations encouraged) and the audience is invited to bring their own blanket or lawn chairs, snacks, and non-alcoholic drinks. Glass Axis (610 West Town St) – learn a new skill when you take a class blowing or fusion class together. German Village – stroll the brick-lined streets of this 233- acre village listed on the National Register of Historic Places. You’ll find shopping, dining and interesting architecture. Food Tours– from taco trucks to dessert to ethnic foods, these food tours will introduce you to the best eats in Columbus. Scavenger Hunt- download the Let’s Roam app and set off to explore and learn about Columbus while also learning about each other with this fun date pack scavenger hunt. LOOKING FOR MORE DATE NIGHT IDEAS? – Here’s over 100 ideas to get you started! The Columbus foodie scene is sure to impress, with a growing farm-to-table movement, unique restaurants, and innovative chefs. Check out some of these Columbus hot spots for your date night dinner! The Pearl (641 N High St) – Visit this restaurant, tavern and oyster room for innovative cuisine in Short North. For a budget-friendly option, daily happy hour specials offer 50% off appetizers and drinks. Alqueria Farmhouse Kitchen (247 King Avenue) – Rustic dining in the University district. This new spot opened in January 2019 and is getting rave reviews for craft cocktails and hearty dishes like pork shank, short ribs and grilled octopus. 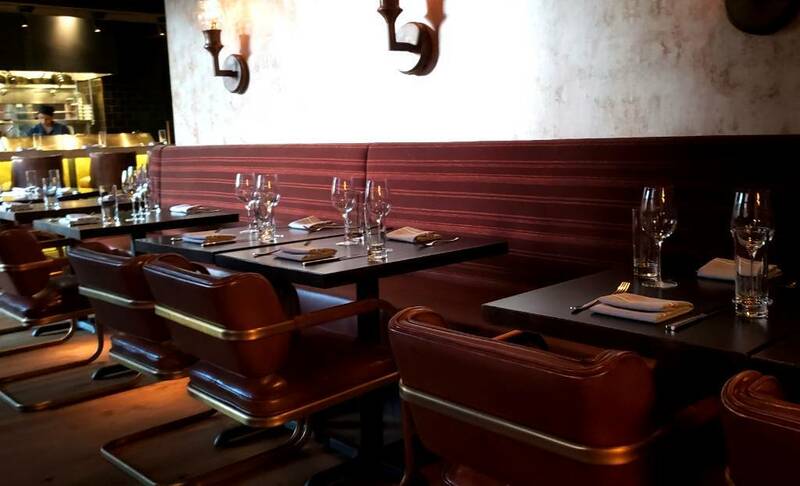 Third and Hollywood (1433 W 3rd Ave) – American cuisine served in an intimate and sophisticated environment. Menu highlights include cheddar herb biscuits, rainbow trout and filet mignon. They are also well known for their weekend brunch. The Refectory Restaurant & Bistro (1092 Bethel Rd) – housed in an 1800’s church, the Refectory has been serving Northwest Columbus since 1981. This is the only Animal Welfare Approved restaurant in Central Ohio, with all meat and dairy locally sourced from family farmers. Watershed Kitchen & Bar (1145 Chesapeake Ave) – first and foremost a distillery, the Watershed produces several signature gins, and accompanying cocktails. The kitchen serves up a rotating menu of fresh, local ingredients like steak and chops, with an eclectic menu of sides such as pork rinds and johnnycake. The Boat House (679 W Spring St) – some of the best views of Columbus can be found at the Boat House. Right at the point where the Olentangy River meets the Scioto River, the Boat House offers upscale dining with aged steaks and fresh seafood. There’s also a Happy Hour Monday through Friday, and a 3-course Prix Fixe from 4-5:30. Lindey’s (169 E Beck St) – In the German Village is Lindey’s, voted Columbus’ best restaurant from 2010-2016. Enjoy elegant dishes like mussels and fries, scallops, steaks and lamb. Basi Italia (811 Highland St) – In Columbus’ Victorian Village, Basi cooks up Italian and Mediterranean fare based on locally grown produce, so the menu changes seasonally. Their outdoor terrace is the perfect spot on a warm summer night, and if you visit on a Wednesday, you may catch “Vino on the Veranda” a weekly wine tasting event. Barcelona (263 E Whittier St) – for Spanish bites in the German Village, head to Barcelona. Whether you are looking for tapas, paella or a more filling Spanish meal, Barcelona has the perfect wine pairing to go with your meal. Check the website for special events, which include live music on Sundays. Mitchell’s Ocean Club (4002 Easton Station) This is the flagship restaurant of Ocean Prime, a nationwide restaurant collection by local chef Cameron Mitchell. Enjoy fine dining on classic seafood dishes. Sunday Surf & Turf offers a prix fixe menu and ½ price bottles of wine. There are dozens of romantic Columbus hotels to choose from: modern luxury hotels, historic hotels and quaint B&B’s. These are some of the best romantic hotels in Columbus. Hotel LeVeque, Autograph Collection (50 W Broad St) – this boutique hotel in the heart of downtown Columbus combines history with modern luxury for a unique overnight experience. Enjoy French cuisine in the hotel restaurant, or decadent room service for a romantic night in. Le Meridien Columbus, The Joseph (620 N High St) – for a taste of Europe in Ohio, consider Le Meridien Columbus. 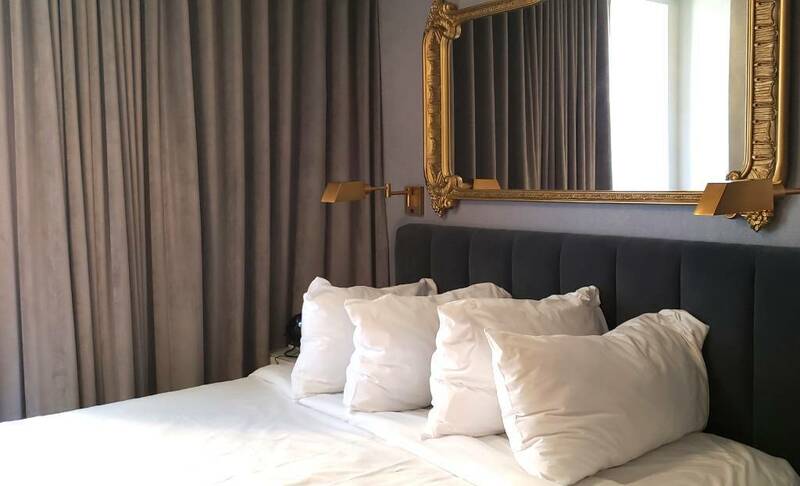 With over 500 pieces of art on display, luxurious spa suites and the trendy Soul Bar, this hotel in the middle of the Short North Art District is the perfect romantic spot for an overnight in Columbus. Hawthorne Park Bed & Breakfast (1616 Hawthorne Park) – just three miles from downtown, this beautiful home offers a cozy alternative to Columbus hotels. Romantic packages are available which include champagne or chocolates, and you can even arrange a photography package to memorialize your getaway. 50 Lincoln Short-North Bed & Breakfast (50 E Lincoln St) – another option in the Short North Arts District is this seven-room B&B. Enjoy a romantic, homey stay just a few minutes walk from some of the best things to do in Columbus. Enjoy a night on the town followed by a leisurely stroll back to your room. Hilton Columbus Downtown (401 N High St) – for a more traditional stay in downtown Columbus, the Hilton is a four-star property with all the amenities you need for a romantic getaway in Columbus, including the Gallerie Bar and Gallerie Bistro. German Village Guest House (748 Jaeger St) – for an overnight option in Columbus’ German Village neighborhood, check out the German Village Guest House. Featuring modern design in an 1800’s red brick home, this property is within walking distance of many restaurants and shops of the German Village. Have you planned a romantic getaway in Columbus? What do you think should be added to this list? I love the Franklin Conservatory! My husband and I went to the most incredible orchid exhibit there years ago and I’d love to go back soon and stay in German Village. Isn’t it gorgeous, Emily?! Now would be the perfect time to visit too. Not that there is ever a bad time to visit indoors but the grounds outside would be pretty. I’d like to stay in the German Village too. I love exploring that area. Love that you gave so many great options for restaurants and hotels. Shakespeare in the park sounds really fun too. Great idea for a weekend getaway with the hubby. Thanks. I would go to every.single.performance of Shakespeare in the Park if my husband were game. I guess I can be grateful that he’ll go at all. The surrounding area in the German Village is charming so it lends itself perfectly to a great date night. What a fantastic round-up of great places in Columbus. So many amazing options!